In Southern Mendocino County there are creeks and rivers emptying into the Pacific every few miles. 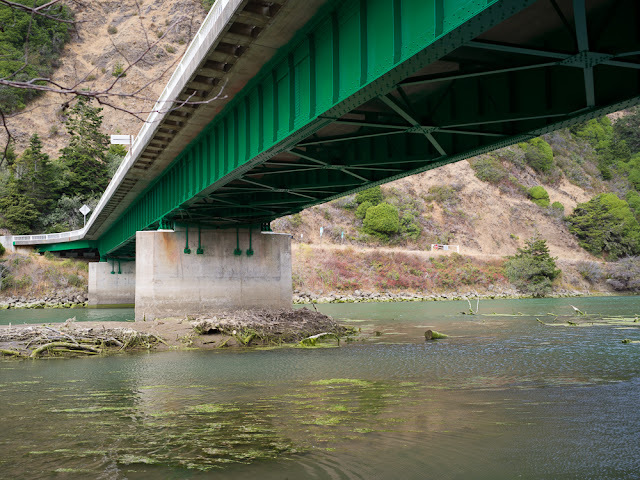 I recently took a trip to photograph the bridges that carry Highway 1 over the mouths of these rivers. 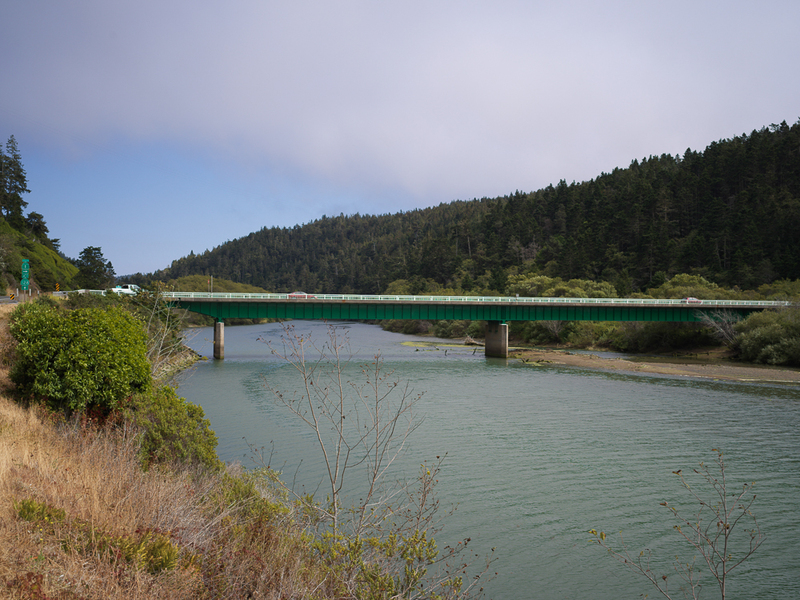 The Navarro River Bridge (10 0130) is the southernmost of these river crossings. It is a two span continuous steel girder bridge (with short approach spans) on concrete piers (and pile extensions). It was built in 1949 and rehabilitated in 1985. It looks like the rehabilitation included a seismic retrofit to anchor the girders to the piers. The Navarro River Bridge is where State Route 128 intersects and becomes part of Highway 1 about one mile from the coast (see photo below). 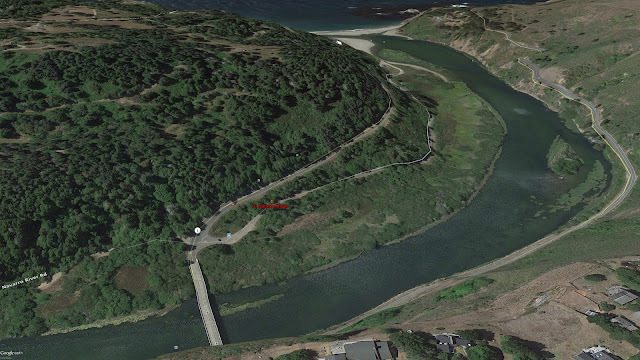 One hundred years ago, the town of Wendling was located at the mouth of the Navarro River. There was a port, a railroad siding, a lumber mill, and a hotel for the sailors who anchored at the river's mouth to load their schooners with redwood cut from the surrounding forest. 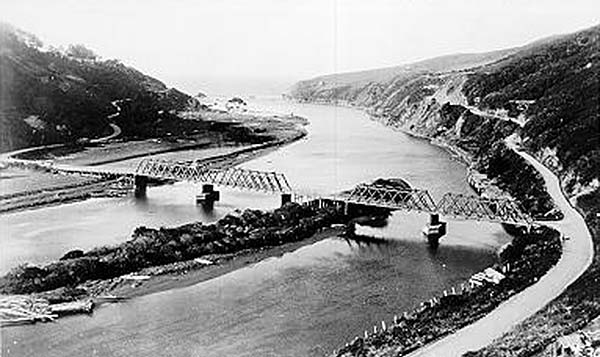 A truss bridge was built near the mouth of the river to support the community (see photo below). Today, there isn't anything left from the bridge or the town, just a sandy beach.